Here are the moon emojis, astronomy emojis and space emojis as real emojis that can be selected individually (or in groups) and copied. The moon emoji is my personal favorite. Horoscope emojis, Zodiac emojis, Astrology emoji, Aries, Taurus, Gemini, Cancer, Leo, Virgo, Libra, Scorpio, Sagittarius, Capricorn, Aquarius, Pisces, Ophiuchus. Note: there is currently no official lunar eclipse emoji, nor is there a solar eclipse emoji. 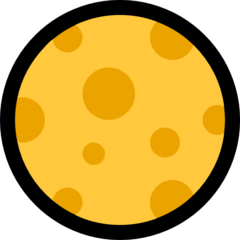 Until the emoji designers create real eclipse emojis, I suggest using the black versions of the Moon and Sun. Use this emoji ☾ for a lunar eclipse (it doesn’t look like any Moon phase – it actually somewhat resembles an eclipse) and this emoji ☀ for a solar eclipse emoji – because the black spot with lines looks like a total solar eclipse showing the Sun’s corona. Here is a screenshot of all of the moon emoji and space emojis as seen on Apple’s Mac “High Sierra” OS. 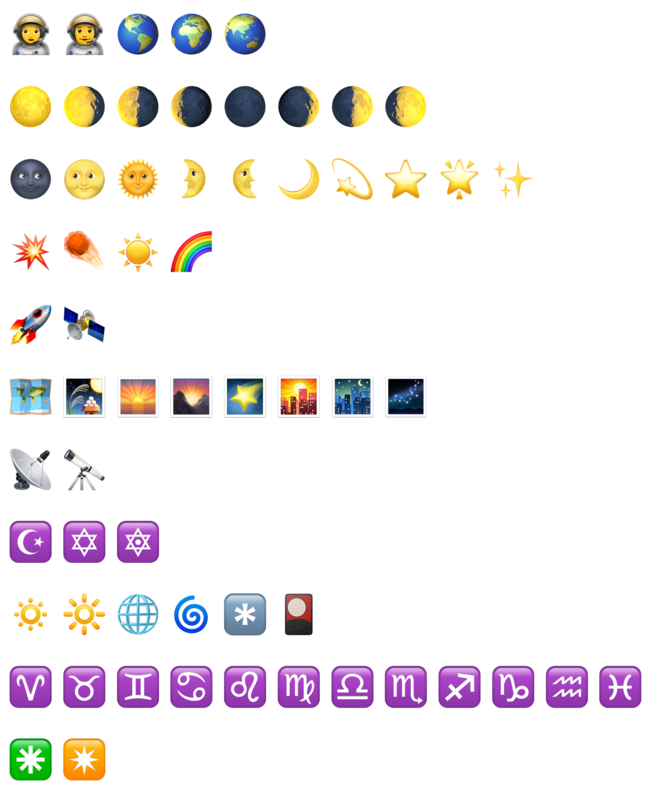 Bonus: this list shows the moon phase emojis in order – the correct order of the phases of the moon. Did you know that Emojis look different depending on which type of device you are seeing them on? 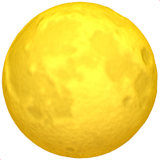 The Full Moon emoji as seen on Mac Computers. 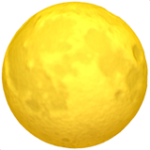 The Full Moon emoji as seen on Windows PCs.